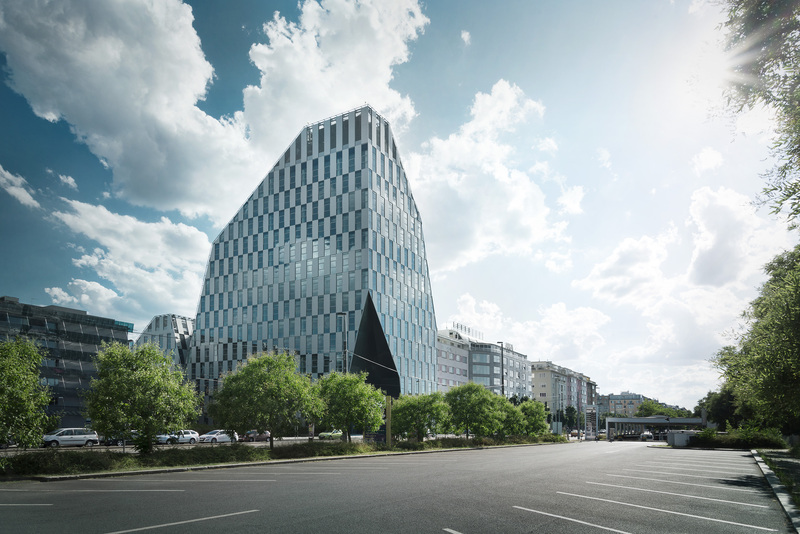 Investor: GES REAL Prague Real Estate Invest, s. r. o. 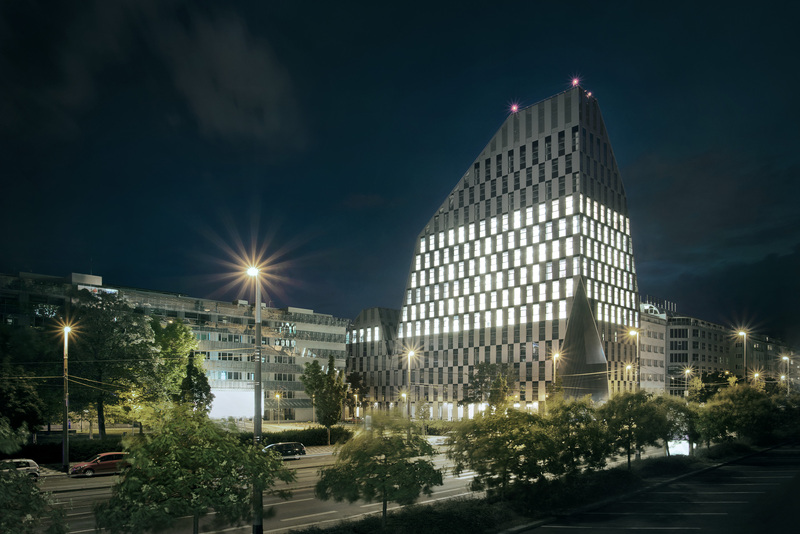 Exceptional architecture of the Crystal was designed in the Czech studio ra15 under the leadership of Libor Hrdoušek and architect Radek Lampa. 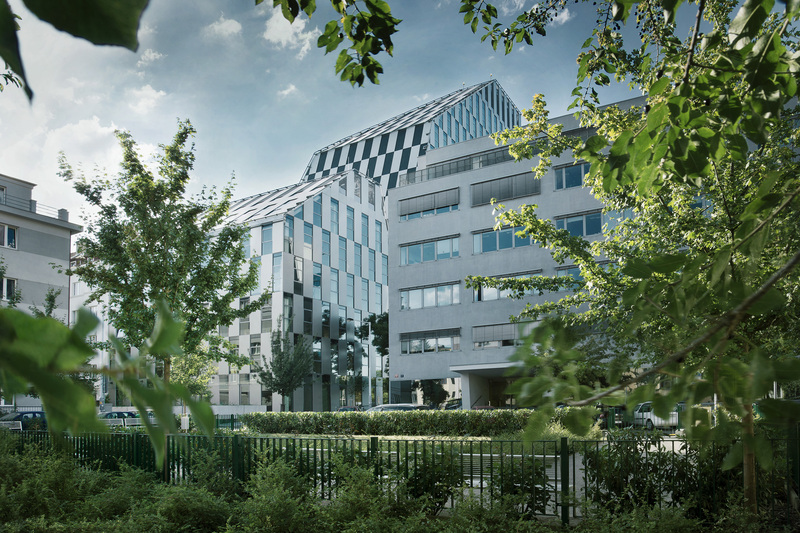 The 14-storey office building with 13,650 sqm of rentable area has one of the best addresses in Prague – located in the popular area of Prague Vinohrady. The area itself is very interesting from an urban point of view. The Vinohradská street is formed from the southern side by typical urban blocks of residential houses from the second half of the 19th century, keeping the same height of the cornice. The other side of the street is defined in a mild slope by the green areas of the Olšany Cemetery. The urban block connected to the Crystal was originally unfinished, opening into a small square. On the other side of the square, there is located a distinctly high building. 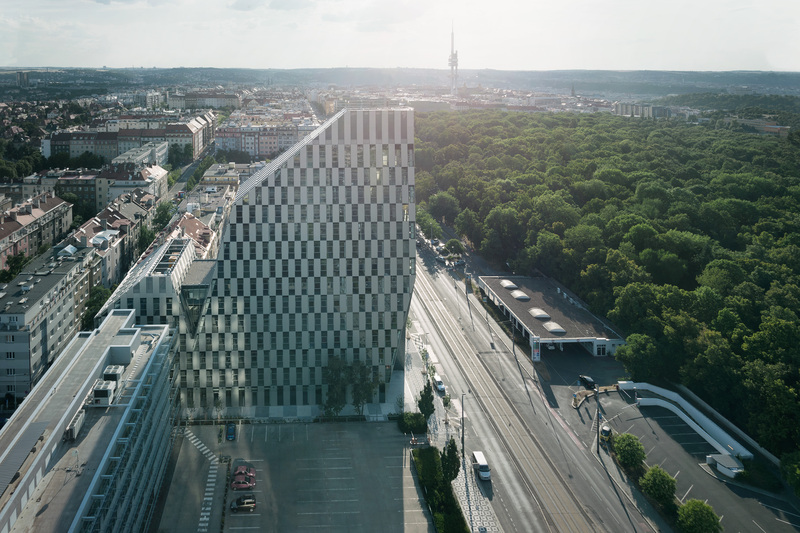 The Crystal completes the urban block and adds the third (and last) façade to the square. The height of the building is somewhere between the other two buildings adjacent to the square. The shaping of the form is strictly based on the surrounding area and respect all the buildings around. The attic is bent according to the height and shape of the neighboring houses. Moreover, the upper part of the Crystal is designed not to decrease the quality of daylight and sunlight of the newly formed courtyard in the middle of the urban block. While developing the form, the architect worked with models of different heights and shapes, which were presented to the client and local authorities. The final shape was recognized the most appropriate for the area. 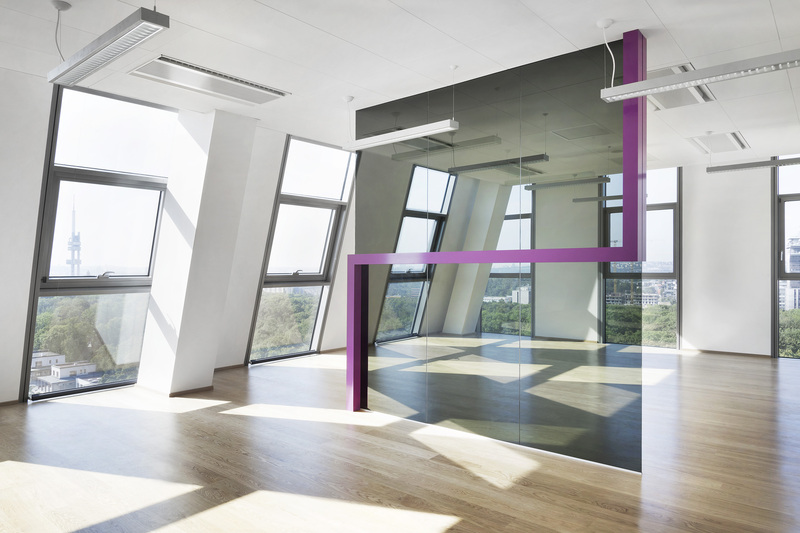 The building is designed practically and functionally and based on contemporary aesthetics. 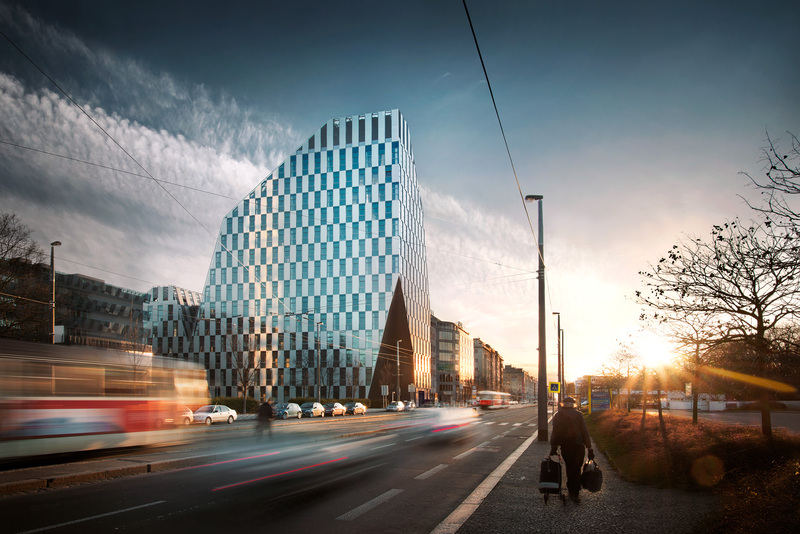 Thus the Crystal adds a new aesthetical and architectural layer to the area. The façade is designed to support the shiny glistening crystal theme. It is made of a rectangular façade raster, where clear glazed windows are alternating with aluminium panels, covering boxes for outdoor blinds. The checkerboard pattern raster is also used on the roof covering panels to achieve a uniform look of all exposed surfaces. 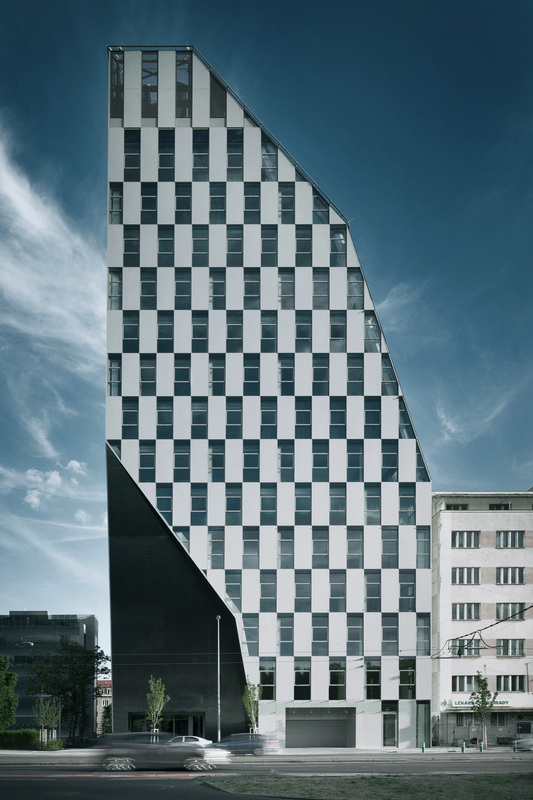 The “Cave” entrance is intended to optically reduce the volume of the building from perspective of pedestrians and highlight the main entrance on the corner of the square. The ground floor works as an entrance hall and individual retail. 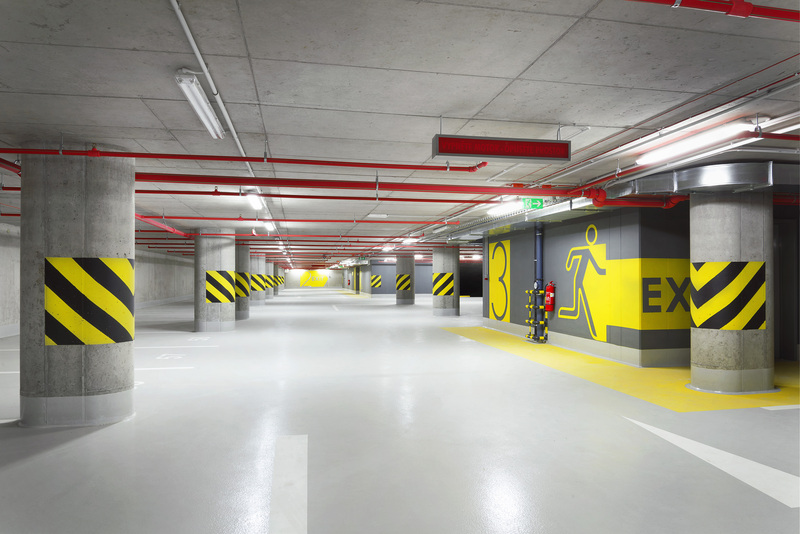 Underground floors are designed for parking and technical equipment. The remaining floors are used as offices. Vertical communications in the building are provided by two staircases and four elevators. The large office space in Crystal is ideal for both open-space and divided offices, in either case with natural ventilation.